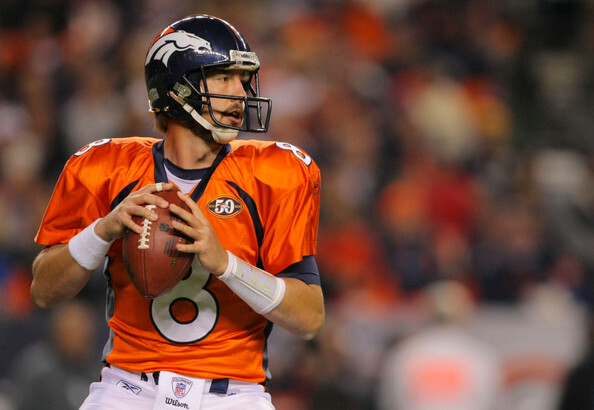 With the news of Kyle Orton's recent release it brings to a close the era of Orton as Quarterback for the Denver Broncos. This is a post that looks back at Orton's time here and is in memory/tribute for the short time Orton has spent with the team. Orton came to Denver after spending four years in Chicago as the throw in as apart of the Jay Culter trade/fiasco. 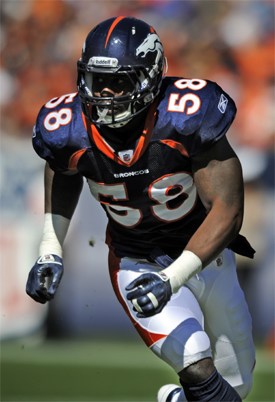 It was April 2, 2009, the Bears traded Orton (along with their first and third-round draft picks in 2009 and their first-round pick in '10) to the Denver Broncos for Pro Bowl quarterback Jay Cutler and the Broncos' fifth round pick in '09. For Orton the four years in Chicago were about battling Grossman for the starting job. As well as blonde starlets that couldn't keep their hands off the Jack Daniels drinking, gravity defying neckbearded Orton. With his change of scenery comes a change of perspective and a new number, he changed from 18 to 8. Leading into the start of the 2009 season Orton was in an open competition with Chris Simms for the starting job. The preseason was a close fought affair, during which Orton tried to channel his future Tebow and throw a left-handed pass (Which with Orton was intercepted). On June 13, Broncos head coach Josh McDaniels declared Orton the starting quarterback for the season. 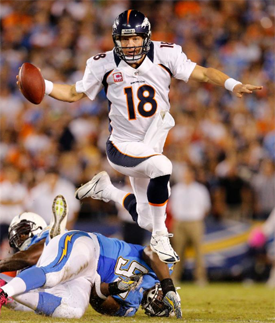 Over the next five weeks, Orton led the Broncos to a fairy tale start of 6-0 record to begin the season. His most impressive effort in that streak came against the New England Patriots, when he completed 35-48 passes for 330 yards and orchestrated a 98-yard drive to tie the game and send it into overtime. He threw his first interception of the season to Randy Moss at the end of the first half. It was his first in 173 pass attempts which dated back to 2008 when he was with the Chicago Bears. This would be the beginning of the end for not just Orton but many associated with the Broncos. The Broncos would only win two more games and finish the year 8-8. For the 2009 season (playing in 16 games with 15 starts), Orton threw 21 touchdown passes and 12 interceptions with an 86.8 QB rating. Not amazing but not to bad either. Starting the 2010 season Tebow was selected in the draft and the Broncos had previously traded for Quinn. Rumors and other unconfirmed information suggested that McD was leaning towards cutting Orton and having Tebow and Quinn fight out for the starting spot. But Orton came to camp and showed he was way ahead of the others. This lead to Orton being named the Broncos starting quarterback for 2010. He signed a one-year contract extension (through the 2011 season), on August 19, 2010. Orton had a few good games, he threw for 476 yards against the Indianapolis Colts, in a record setting day. November 14, Orton threw a career-high four touchdown passes against the Kansas City Chiefs. But later in the season, Orton suffered an injury against the Kansas City Chiefs, and Tim Tebow played the last three games to finish the year. Orton finished the season with 3,653 yards, 20 touchdowns, and nine interceptions. Very productive games though it didn't amount to many wins. 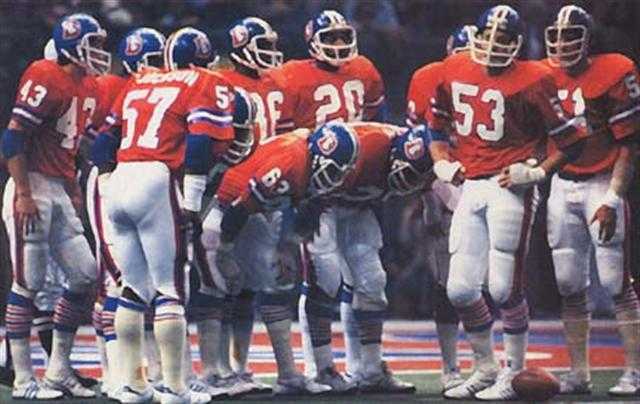 The Broncos finished 4-12 and went 3-10 with Orton at the helm. The Broncos sacked head coach McD mid way through the season and then hired our saviors John Elway as VP and John Fox as HC. Orton entered the 2011 season as the starting quarterback though he was thisclose to being traded to the Dolphins before contract talks broke down, he beat out Quinn and Tebow easily again at camp and started the year as number one. As the starter Orton threw 8 touchdowns and 7 interceptions, accumulating 979 yards and completing 58.7% of his passes but he went 1-4 and the Broncos front office had seen enough. They decided to make a change and see if they could produce more wins. He was replaced as the starter by Tim Tebow during the week 5 contest against the San Diego Chargers, and Tebow looks like he will remain the starter for the rest of the season. Orton had always said he didn't want to be a back up and never really got on well with fans. But he took his demotion well and showed he was a class act. He may not have got on well with Tebow or Quinn for that matter before but he showed a willingness to help and respected the coaches decision. He gained a lot of respect from me as well as others for the way he handled himself respective in this situation. Originally it looked like Orton would sit the rest of the season and stay in Denver. He had a new baby girl and really didn't want to move. He was happy to wait to free agency and sign with a new team. A number of injuries to key quarterbacks changed his mind and he asked to be waviered in the hope he would catch on with another team. Mainly the Bears who most likely have lost Culter (the guy he was originally traded for) for the season. Orton was waived on November 22, officially ending his tenure with the Denver Broncos. He had a record of 12-21 as a starter during his time with the Broncos, throwing for 8,434 yards, 49 touchdowns, and 28 interceptions. Orton was an average Quarterback that could do somethings with a good team. 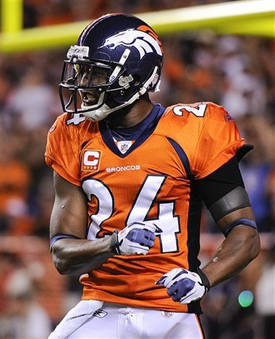 He will leave Denver after being a classy and stand up guy who handled the Tebow situation and his demotion well. To Orton the throw in we wish you farewell and good luck. ~ Aussie. Pretty classy yourself G. Nice article. I for one am glad he's gone and have little fear of him avoiding a Von Miller rush and showing us what a mistake we made when he returns for a visit to Denver on New Years' Day. He did alright here stat wise, but those of us who had to suffer through his mediocre and boring style of play are very relieved. In fact I am celebrating Thanksgiving today with a toast to Kyle finally getting the ax. No more Orton, hooray! Hey I don't think we need a new poll for this, but I feel you should replace #78 with #58 on the Honor Wall. I know we just vote. I myself voted numerous times to make sure Colquitt didn't end up on there (I mean what kind of team has their punter as on of the bright spots on the team). 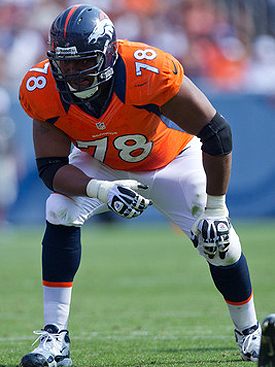 I know you want one of the OL up there, but Clady has sucked this year and the others are still raw. 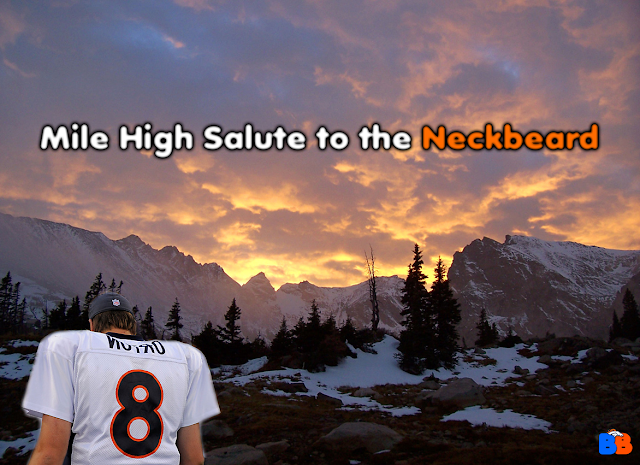 Von is the real deal. The D and Tebow's upbeat winning attitude has us on track to be a contender again before any of us expected to. Hail to Miller Time. Put him on the wall ASAP. PS, McGahee needs a better pic. Preferably one of him doing the Mile High salute. One more thing. Atwater, Meck and TD nominated in HOF voting. Hey digger, as you I am happy he is gone, I respect him as a person but he us an average person, plus I thought this post would be good to remember his short time here. Also I bet Orton let off a few expletives when he found out he had to go to the Chiefs and play against Von Doom. I would be pissed haha. And I completely agree on Miller being on the wall, in fact once the last poll had finished I rechecked the list and there was no Miller, we all totally missed it! So I think I will add him, the demotion may be exactly what Clady needs to get him playing better haha. I will check out that pick of Willis too. And hopefully one of those guys gets in, bummer Rod didnt but I think he will get his time. Yeah someday Rod should get some nominations for sure. As for the guys now, Atwater has best shot IMO. Would love to see Atwater get in the hall!